At the end of the 2016, the SF-Bay Area Chapter learned that it had been successful in securing funding from the Internet Society’s Beyond the Net program for the “Bridging California’s Rural/Urban Digital Divide with Mobile Broadband” project. The Chapter will be working together with California State University (CSU) Geographical Information Center (GIC), Chico and Valley Vision on this fascinating project which will collect data on mobile broadband performance in Yolo County. The project kicked off in January 2017 and will run until the end of the year. Progress updates and interim reports will be posted here as they become available. California’s Central Valley is a major provider of food to the nation and the world, but its own rural development is hindered by inadequate broadband service. The level of broadband claimed by regional Internet providers does not reflect the reality. Precision agriculture is the suite of technologies that enable farmers to gather data about fields and apply accurate water and chemical inputs to crops, maximizing production while minimizing environmental impact. The next generation of precision agriculture is moving to the cloud, where data are transmitted to companies for sophisticated analyses in real time, further increasing the impact of precision agriculture. The overall goal is to measure mobile broadband performance in agricultural areas in Yolo County, north east of Silicon Valley, and compare it to provider claims and precision agriculture technology demands, so that these data can inform relevant public policy. It is easy to overlook rural communities outside the world’s most famous technology hub, Silicon Valley. This project directly involves rural communities and farmers living in areas where reliable access is often ignored. Internet use in agriculture helps to maximize production and minimize environmental impact. Innovative, cloud-based ICT approaches are revolutionizing the agricultural sector. One key outcome is to improve inadequate internet access for rural communities in California. Data will help to highlight that rural broadband service is inadequate, despite claims by service providers. This data can be used to inform policy makers in order to improve rural access. California is the home of high tech and also produces 70% of total U.S. fruit and tree nut farm value and 55% of vegetable farm value for the United States. Precision agriculture is the suite of technologies that allow farmers to gather data about fields to apply accurately adjusted water and chemical inputs to crops, maximizing production while minimizing environmental impact. 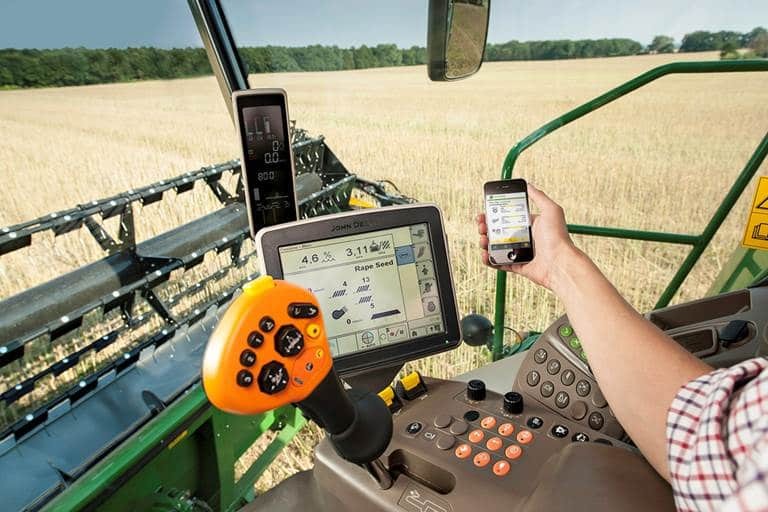 The next generation of precision agriculture is moving to the cloud, where large amounts of data is transmitted to companies that can provide sophisticated analyses in real time, further increasing the beneficial effects of precision agriculture. The potential for these technologies is limited, however, by the insufficiency of mobile broadband speed and reliability in rural areas. 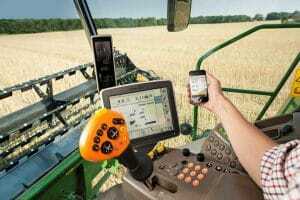 Speeds typically underperform that reported by providers to the Federal Communications Commission and fall far below that needed for the demands of precision agriculture. California has a program for ground truthing the reported speeds, but the program does not sample densely enough to cover performance in agricultural fields. This is a part of California not as publicized as Silicon Valley. It’s critical for all communities to have access to the Internet. In particular, in addition to access to education and business information, broadband used in precision agriculture can improve environmental outcomes through reduced water and energy use. California farms are underserved. California previously funded efforts to promote rural broadband, but it concentrates on households, not farms, and considers farming areas ‘unpopulated’ for the purpose of demonstrating need. In fact, rural counties in California are actually in danger of losing businesses due to inadequate broadband access. Valley Vision is working with three farmers and AgStart, a public-private effort to promote precision agriculture technologies that is managed by the Yolo County Office of the Agricultural Commissioner. Valley Vision is pairing test and control sites for three crop types: tomatoes, grapes and nut trees. They will be developing information focused on informing farmers about the function of and potential benefits from precision agriculture. The GIC will measure mobile broadband performance using sensors in agricultural fields throughout Yolo County, so that it can be compared to precision agriculture needs. The data will also be compared against speeds that are claimed by mobile broadband providers. The GIC will develop a sampling plan that distributes 200 testing locations across the farmed areas of Yolo County. Valley Vision will provide public outreach on the program to assist the GIC in securing access to the fields for testing. The mobile broadband testing will follow the protocols and use the equipment from the California Public Utilities Commission’s (CPUC’s) Mobile Broadband Testing program and will be conducted over a period of two months. Testing uses Android smartphones and tablets to run the CalSPEED mobile app, and data is automatically uploaded to an Amazon cloud server managed by CSU, Monterey Bay. The data is downloaded on request to the GIC, who will prepare a geo-database of the resulting speeds and provider claimed speeds. Test results will be provided in a spreadsheet, along with summary statistics for each metric. This data will be provided to Valley Vision’s collaborating precision agriculture companies for comparison to their performance needs. One outcome of this work will be an assessment of the claimed performance vs. measured performance, together with an understanding of what the actual performance means in regards to accessing the benefits of precision agriculture. Another outcome will be feedback submitted to the CPUC about the claimed vs. actual performance and its implications for precision agriculture. The GIC and Valley Vision are both facilitators for regional broadband consortia sponsored by the CPUC and also partner with the San Joaquin Valley Regional Broadband Consortium facilitated by Fresno State University. These consortia cover the entire 7 million acres of irrigated agriculture in the Central Valley (the heart of California’s agricultural lands) and 38% of the land area of California. They are well-positioned to use these relationships to inform policy-making on rural broadband. Efforts to improve rural broadband in California can spur technologies that can be applied across the world.